Jason Bourne. 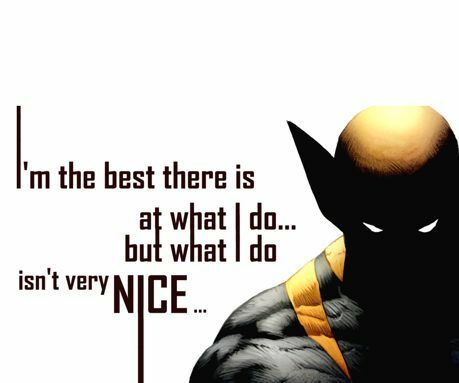 Wolverine. Han Solo. Black Widow. Do you notice any similarities between these characters? They’re all unstoppable, devil-may-care action heroes. They’re also all ISTPs. 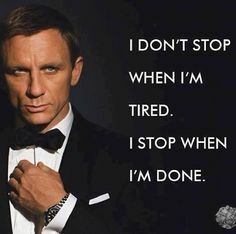 ISTPs make the ideal template for an action hero. These cool, collected types have the sharpest tactical abilities of any of the 16 types. They’re called “the crafters” but really they excel at anything that involves quick-thinking, and hands-on tactical intelligence. If you’re in a crisis situation, you’ll want an ISTP around. When it comes to an emergency, these guys keep a cool head and get everything under control. You need protection from a bad guy? Nobody can handle a weapon like an STP. Because of this there’s a high percentage of ISTPs in the military and law enforcement. These types can be resistant to the rigid rules and structure enforced there, but they also find a place where they can use their unique skill sets and serve justice. This isn’t to say that all ISTPs love these career fields, some will hate them. But in general, at least according to the MBTI® Manual, ISTPs are overrepresented in these careers. How do the ISTP Functions Work? What does all this mean? Well, these introverted thinkers are not only good with their hands, they tend to have a good grasp of logic and an immense store of mental data. When they say something, they’ve thought it through internally first. 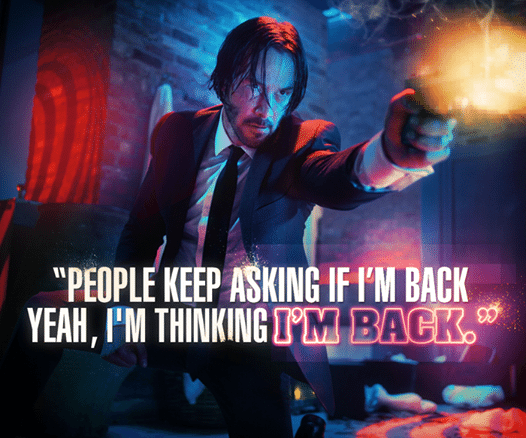 This is why when, in movies (and often in life) one is faced with an ISTP, you’ll hear precise, intentional one-liners that make you react in hushed awe. ISTPs can shut up the arrogant villains, and they don’t waste words doing it. They’re the anti-heroes that do what has to be done, but what everyone else is too scared to do. The ISTPs tactical intelligence comes from their combination of introverted thinking and extraverted sensing. Their extraverted sensing gives them an intense awareness of the world around them in the present moment. ISTPs aren’t likely to get caught with their head in the clouds; they’re going to know what’s going on around them at all times. They respond in the moment with a cool head, not getting flustered or confused like many other types would. Dominant or auxiliary extraverted sensors are the best at handling crisis situations with a calm attitude. Their skill at living fully in the moment and being able to come up with spontaneous solutions is why it’s always good to have an ISTP around when there’s an emergency. The ISTP has tertiary introverted intuition. This means that, although it’s not their strong suit, they still are able to have a relatively good idea of how things could unfold. They can strategize good building plans, physical maneuvers, stunts, and fighting tactics. Combine this with inferior extraverted feeling and they can be somewhat effective at dealing with people or (if they’re the bad guy) manipulating them to reach an end goal. However, at the end of the day, the ISTPs tactical, hands-on abilities and quick thinking are what make them stand out. How can I tell if I’m an ISTP? If you’re an ISTP and lead with introverted thinking, that means you’re going to have a very objective, logical frame of mind. You’re going to love to figure out systems and will enjoy engaging in games that activate your thinking (like sudoku, rubik’s cubes, etc,.). You’ll be fascinated with taking things apart and putting them back together, and will probably be good at figuring out math problems. Introverted thinkers have very precise, concise language; you’re not one to drone on and on about a subject. Say what needs to be said and get it over with. That’s how you live. As an ISTP you’ll have auxiliary extraverted sensing, which gives you a keen awareness of the world around you. You can quickly respond to stimuli, and things like juggling, athletics, or going to a shooting range (maybe not all of these activities, but some) will appeal to you. Being able to use your hands-on tactical abilities is very important to you; so constructing or building with your hands, or playing paintball, baseball or anything that allows you to use your strong awareness and physical ability is going to be appealing. If you’re an ISTP you’ll probably be fiercely independent, and will loathe being forced into a rigid structure or set of rules. ISTPs often have a “lone wolf” mentality that is obvious in action movies where they’re the hero. They like to get things done on their own, and aren’t as interested in working as a team. 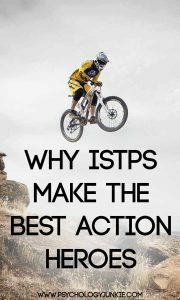 ISTPs have an adventurous side, and usually love thrilling activities like sky diving, driving motorcycles, surfing, etc,..they have a strong need for action and excitement. Living in the moment, on impulse, is the lifestyle of choice for you if you’re an ISTP. Not everything is about living on impulses though for ISTPs. If you’re an ISTP you’ll likely have a firm set of causes and beliefs that you are very loyal to. ISTPs strongly believe in equity and fairness and are less concerned with what the majority believes. They have their own set of personal values and priorities. ISTPs are usually on the optimistic side; while they may be quiet and keep to themselves, they’re not pessimistic or mopey. They usually have a cheerful outlook on life, and are pretty laid back in general. If you’re lucky enough to have an ISTP for a friend or partner, you can enjoy their easy-going, fun-loving nature. They can be the quietest, most stoic people in the room and also the most generous and protective people you know. They are a fascinating mystery to everyone who knows them. Do you know an ISTP? Are you an ISTP? I’d love to hear your thoughts about these fascinating types. From my experience. What differentiates an action person extrovert or introverted is the finality of the experience. As an introvert, my primary goal and the control of my fear, the control of my environment, and finaly, the sensation. Mastery is the goal. The extravers give the impression of seeking the sensation above all. Tertiary data as far as I am concerned. Often, the extraverts action people have a piercing voice with important amplification. Introverts have a bass voice with less amplification. I think you could watch Dunkirk. My best friend is an ISTP. He is exceptional at every type of repair from electronics to cars to household. He is also an artist. But his favorite past time is to mull over and consider everything that could possibly go wrong and how he would react. He is always imagining himself getting in a fight with that guy we just walked past on the street, or tackling an active shooter at his school, or being the last human alive in a zombie apocalypse. It seems to me he will be the action hero, the winner in a fight, the victorious lone survivor on earth simply because he has thought through every scenario in astounding detail, and has imagined how he would fight or react as if he were playing through movies in his head. If the bad guy does this, then I will kick him here, or punch him there… Then if it actually happens, he’s already won the fight in his head, so it’s not a big leap to follow through. I think adaptability is what sets an ISTP apart in this situation, that ability to be aware of what is going on around them while focussed on a specific outcome and the ability to react as the situation unfolds. I was in the military, security and then the police. My greatest strengths were crisis management and incident control; not so good at the personnel and empathy stuff or working with the by the book pedants. So I relate to what is written here quite well.